Brighton is one of the top 10 UK cities to visit with a buoyant holiday rental market to match. Even when I go away I shun hotels (never liked them) in favour of my own apartment. What isn't great though is having to fend for yourself for breakfast, or even worse, having to leave your cosy nest for a cafe. Urgh. 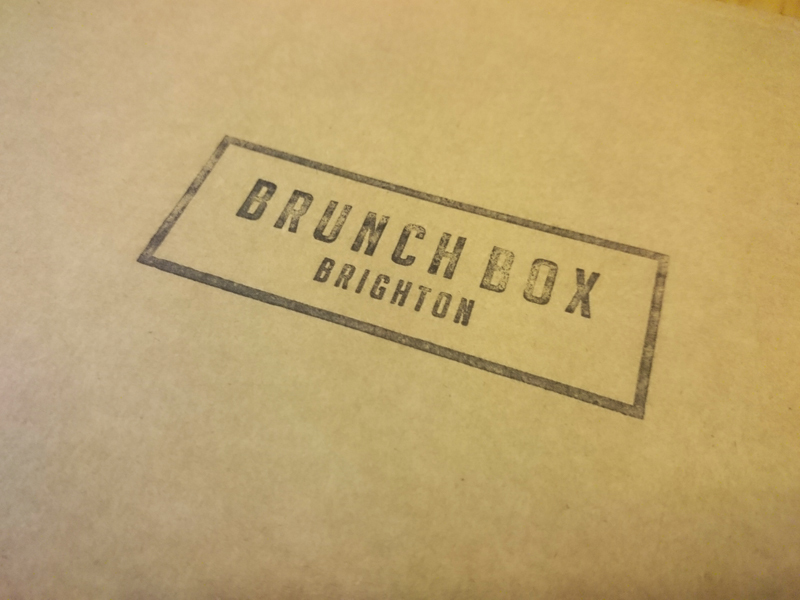 So even though Brunch Box Brighton is not a new idea, it's still a great idea, delivering a selection of local produce to your door. So far they have a classic english, american and french box. There's also a timely healthy box too with Insagram favourites avocado, eggs and granola. 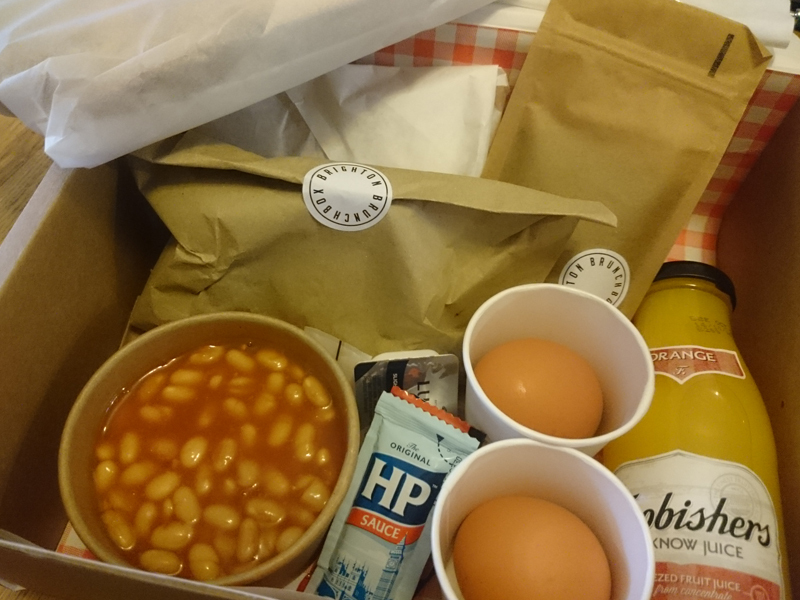 I was sent an English box which was a treat as I can count the number of cooked breakfasts I've had on one hand. The pork sausages and thickly cut bacon were from our lovely Brighton Sausage Company and the bread my favourite chewy brown from Real Patisserie. 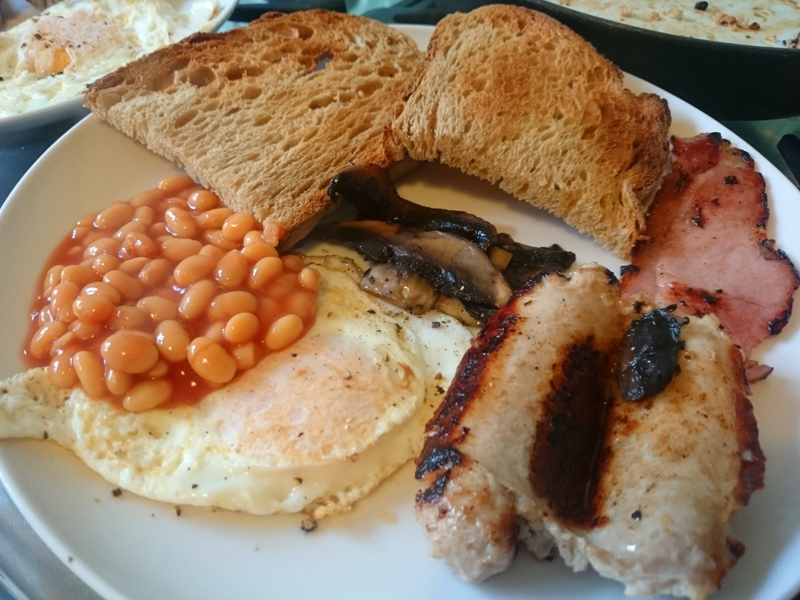 Also included were beans, a large mushroom, 2 local eggs, butter, sauce sachets, orange juice and coffee from Small Batch. The box was plenty for 2 people and at £12, decent value for money. There were a few missing things though. Oil for cooking (if you are not at home I don't think you'll commonly get it included at a holiday let) and there was no milk or sugar for the drinks. That made no sense to me as butter was included. 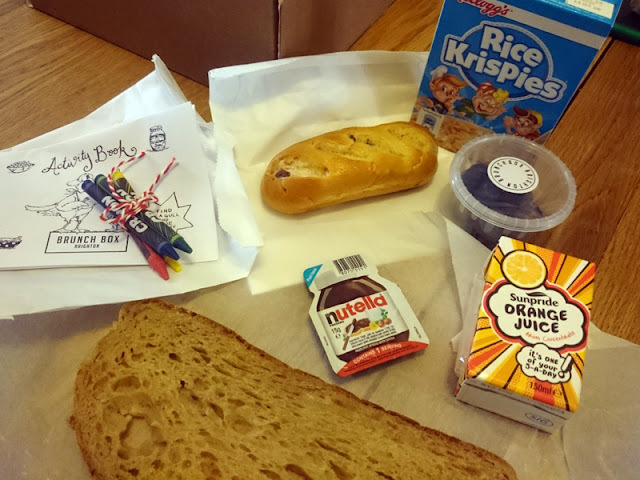 We also got a kids bag for junior foodie with a nice little crayon and puzzle sheet. He was really made up with it and dove in pretty sharpish for his chocolate chip brioche followed by a huge slice of Chewy Brown with Nutella. Luckily the chocolate was offset with a pot of blueberries! Also included was an orange juice carton and Rice Krispies. I would have liked a slightly healthier angle and maybe a locally made/hand made cereal brand and better juice but this is probably aimed at holidaymakers on treat time and all of it costs a mere £4. Plus kids are fickle and can imagine some of them picking over the fact they don't recognise the packaging. I couldn't complain about any of the food (other than I had to cook it!) and the quality of it all was super. The ingredients were nicely presented and the packaging was generally recyclable. I think this is a great idea for Brighton and can see it being a hit with the self catering and Airbnb sector as well as just a treat and look forward to seeing the company evolve with some more unusual and exciting box options. I was sent a box for review. Words and opinion, as always, my own.